Featured amenities include a 24-hour business center, complimentary newspapers in the lobby, and a 24-hour front desk. Planning an event in LaGrange? This hotel features 350 square feet (32 square meters) of event facilities. Free self parking is available onsite. 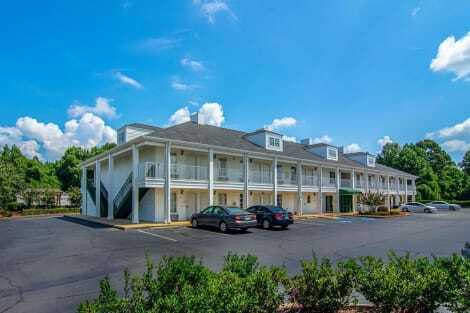 Located in LaGrange, La Quinta Inn & Suites LaGrange / I-85 is within a 10-minute drive of LaGrange Art Museum and Troup County Archives and Legacy Museum on Main. This hotel is 4.3 mi (6.9 km) from Bellevue Mansion and 4.3 mi (7 km) from LaGrange College. Take advantage of recreation opportunities including a fitness center and a seasonal outdoor pool. This motel also features complimentary wireless Internet access and barbecue grills.